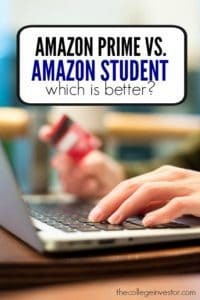 Amazon Student vs. Amazon Prime - Which is Better? 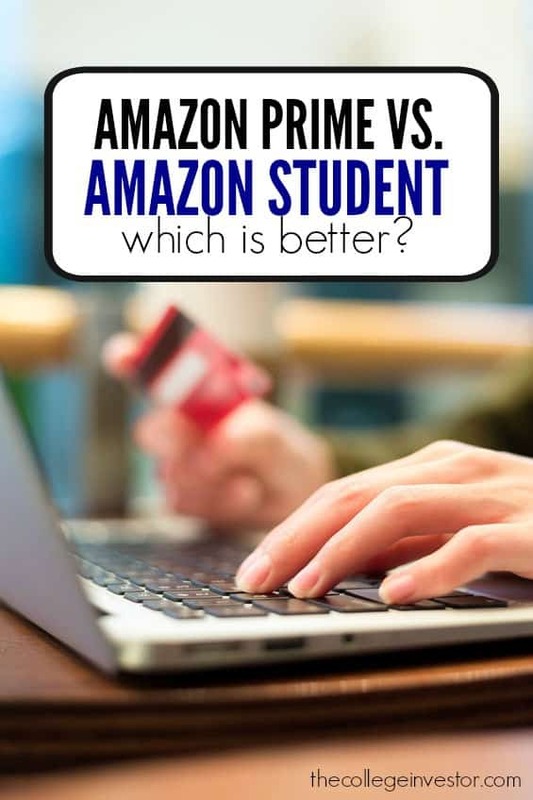 Home » Amazon Student vs. Amazon Prime – Which is Better? Amazon Student is a game-changer for college students who are looking to glean the benefits of Amazon without having to pay the high yearly fee that comes with Amazon Prime. Amazon Student costs $59 per year, a 50% discount from the normal Amazon Prime fee (which is $119/yr). Amazon Student has roots from back in 2010 when the e-commerce giant realized that it had a lot of students who were looking to find an affordable means of purchasing textbooks, downloading and streaming music and movies and other college-centric items. Amazon Student requires you to currently be a student in any of the nation’s universities in order to qualify. You just have to have a .edu email address to qualify. It is almost prime time for buying textbooks, since school is going to be starting in a month or so. When looking for the best deals for Back to College, make sure you check out Amazon Student. What Other Perks Does It Offer? Free release date delivery on video games, DVDs, and books. This means that you can make sure that you get your copy on the day it comes out! No waiting or worrying the item will sell out at your local store, or placing an order and having it sit in backorder while all your friends start playing. Unlimited access to Prime Photos, a service that lets you store all your photos in Cloud Drive for extra safety and easy access. You get to store an unlimited amount of photos, as well as get 5 GB to store some documents that don’t count as images. Think of Amazon Student as a discounted version of Amazon Prime (which it actually is – you are just a Amazon Student member for 6 months, after which you upgrade to the discounted version of Amazon Prime). Instead of paying the usual $119/annually with Amazon Prime, you get a 50% discount to $59/annually. If you’re not sure and don’t want to commit to the service, feel free to sign up for a free trial which lasts 6 months. The free trial period comes with a few caveats that you should be aware of though. For instance, you may not be able to stream music or borrow books for your Kindle devices during these 6 months. That being said, you’ll be able to qualify for the 2-day shipping feature as well as discounts on selected items. If you sign up as a student, you’ll be able to lock in the current Amazon Prime price until you graduate, as long as you’re an active student. You will need to have a valid .edu address from your university to sign up. If you attend a community college or migrated to a common email provider like Gmail, you might want to approach someone in administration and ask them if you could get an .edu address or provide you with alternative verification that you can then email Amazon to confirm your active student status. If you already have an Amazon account, you can go ahead and register for Amazon Student from within your account using your current address. However, you will need to verify your account once you’ve signed up with an .edu account. It’s very easy to sign up. Just go to: Amazon Student Homepage and sign up with your .edu email address. If you already have an Amazon account, login, and then follow the prompts to verify that you’re a student. Amazon Student is a clear winner for those of you who are on a tight budget while in college, since it lasts for 4 years from the time of your registration to your graduation. If you’d rather just get Amazon Prime regardless of your student status, there are certain things you should be aware of before clicking on the Sign Up button. To begin with, Prime is charged on a recurring yearly basis of $99 at the time of writing this post. Prime Instant Video, Amazon’s premiere video streaming service. Amazon Mom, which is for busy mothers who are looking for the best deals for their families. You can opt to sign up for a free 30-day trial to get a feel of how it works, and some of the benefits you’ll get during this one-month period include 20% off diapers if you use the Subscribe and Save option, free two-day shipping, a free Kindle title for the month, access to Prime Photos, music and movies, and Prime Early Access which shows you the best deals 30 minutes earlier than other Amazon members. Prime Pantry, which lets you enjoy the best prices on essentials as well as an affordable delivery fee of just $5.99 for each pantry box delivered. Prime Pantry boxes are large and can hold up to 4 cubic feet of household products or items that add up to 45 pounds in weight. Who Should Get Amazon Prime? Amazon Prime membership is ideal for those of us who are regular shoppers on the site, since you get to qualify for numerous discounts as well as speedy shipping. In addition, you’re able to bundle everything you need in one place, from your shopping to your entertainment needs. Please note that Amazon offers free shipping for orders that are below $35 and it usually offers Prime Day once a year (currently July 15) which beats the deals you would normally get on Black Friday, available exclusively to Prime members. If you’re a student, you’re better off going with Amazon Student. For the rest of us, Amazon Prime is an incredibly useful and cost-effective service in the long run, especially if you’re a regular shopper on Amazon. My wife has Prime Student and she has access to the Instant Video Streaming. If you’re a student, then that $49/yr is definitly worth it. Especially when buying textbooks! Students have access to the videos. However, we are charged $99 upon membershio renewal if we access them. It’s happened to me twice now. I’ve had to call in to find out why I did’t receive the student rate. They explained it is because I watched prime videos. I use prime video and was still charged student price. The only downside is that you are limited to 4 years. Students like myself that are taking a lower pace and needed 6 years to complete a BS degree are out of luck. Not true… I’m in my fifth year of Student and my renewal cost for next year shows at $49. Video is available to student accounts. I just signed up and its clearly listed in the advertisements for Prime Student, in the benefits overview, and in the email they sent containing all of my benefits. It makes no mention of upcharging if you use those services like one of the posters erroneously put here (maybe it was back in June, but as of today, there isn’t anything noted). Generally speaking, the only real difference is that you can’t give other Amazon account Prime benefits under the student account. Otherwise, the two accounts are relatively similar with the main functions working for both. As of May 11, 2018 Amazon Prime is increasing their annual price to $119 and the student price will be $59. Definitely get prime video with the student account. I have had my student account since 06/18. So not sure if this was recent addition to the student account but I have found no difference at all between the two. I have a current Prime video streaming and was not aware of the student price. Ihope I can change my membership to student as I have all the verifications needed. I’ll post the (Amazon’s )response.